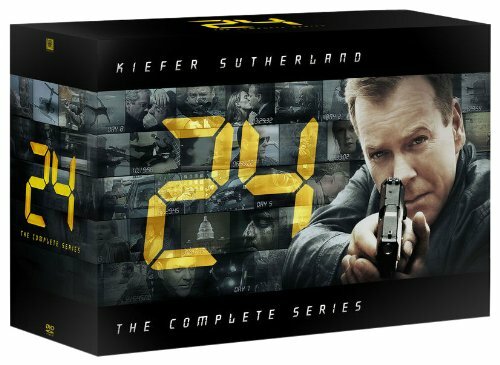 (S0101) On the surface, Kiefer Sutherland’s new show, Touch, might simply appear to be a reincarnation of 24’s Jack Bauer into the body of a blue collar New York dad, a guy who seemingly goes through life with as much mirth as his former Spy vs. Spy persona. His character, Martin Bohm, is a 9/11 widower and father of a non-communicative 11-year-old boy, Jake. Besides being a Fox drama, Touch has other similarities to 24. In the pilot, there’s a preoccupation with time, especially 3:18 pm. Some scenes have a thrilling sense of urgency. Martin also utters Jack’s favorite curse, “damn it” a few times. But folks, that’s where it ends. While in its prime, 24 was a riveting drama worthy of water cooler chatter. So far, Touch is just as compelling, but it’s a very, very different kind of story. Like many autistics, Jake (David Mazouz) rarely makes eye contact, shows little emotion, and does not talk. And he absolutely cannot bear to be touched. What he does do is dismantle and program cell phones and writes strings of numbers in notebooks. Dad Martin is a baggage handler at New York’s JFK Airport, and although he clearly loves his son, he struggles to keep Jake safe and happy. Sutherland does quite well here portraying a man’s frustrated acceptance of what life has dished out for him. His wife’s death, his son’s atypical behaviors, and bureaucracy, in this case, the intervention of the state’s social services to evaluate Jake. In this role, Mazouz aptly expresses the disconnection that can be a hallmark of autism, without venturing into a drooling, vacant shtick. The viewer feels not only Martin and Jake’s frustrations, but also confusion due to the appearance of random characters that fill several unexplained sub-plots. You take the leap of faith that the bits and pieces will come together. And then – they do. There is sudden clarity that leads to a raw beauty in this show about mysteries and connections that will astound you and produce real chills. While offering up a full recap of Wednesday’s pilot would be the usual plan, in this instance it would dilute the astonishing effect of Touch. It’s best to see it for yourself. Some things are starting to make sense. Like I told my husband, we're just supposed to ignore that part. For me, I can ignore that sort of thing on the strength of the overall writing and direction (and acting). I'm guessing they included the terrorist subplot as an attempt to draw in 24 fans. Overall very impressed with the pilot. Fox better not kill this series, or Terra Nova.